- Respond to reviews, message your customers, and see your followers in the Customer Tab. - Post offers for your product or services, upcoming events, and deals. 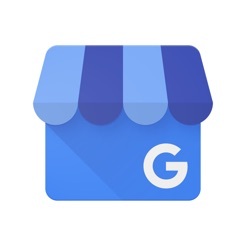 The app is great, but getting verified on Google My Business for my branch office in Tampa, FL was a huge waste of time, causing my branch to lose exposure and revenues. After not receiving the post card in the mail that Google sends to verify your location, I requested a second card. After weeks, we never received. I was then told my next option was to supply interior and exterior photos of the office. So I did exactly that, supplying approximately 10 photos, yet was denied again. I was then told I had to do a video conference with Google. After installing Google Hangouts, I provided the time frame my business was open for the video conference. I specifically provided the time frame, including the time zone, yet the Google rep called when we were closed. This happened (3) times before they finally called during the provided 8 hr. time frame we were open. This process took several months which we lost possible revenues from lost exposure. Very disappointed in the amount of time and the hoops we had to jump through to get our real office verified, yet I have similar competitors who have fake listings, pretending to have real offices by using private mailboxes to disguise and mislead the general public into thinking they are real offices. For this, you get one star. I hope nobody else has to go through this experience because it was a huge slap in the face and waste of time! Out of all of the apps by google, this is by far the worst. I motivate my clients, customers to leave reviews which is supporting the google reviews/ google business app. Right? Why not support me as a business owner? I have tried to correct two very simple mistakes related to my business and I finally gave up when I couldn’t get anyone on the phone and I received nonsense for email replies! Two very simple things-1-correcting my business LOCATION on the map so that my customers are not turned around on another side of the shopping center. 2- MY BUSINESS IS A “duplicate listing” and I don’t know if I have lost reviews because of this. If I only operate on word of mouth and my reviews are all on google, I would love to fix this issue. But it took so long that I stopped wasting my precious time!! I’m so dissatisfied and disappointed. Also, to send me a post card or an email with offers from google to list my business is never going to happen! If you can’t fix this, why would I want to support a marketing portion of your business? It is sad that it’s all about the marketing but I rather have you fix the free listings before you ask me for money. Oh and or have the marketing team have access to help business owners before trying to collect money from them.